ANCHORAGE, Alaska (AP) -- It was just after midnight on March 24, 1989, when an Exxon Shipping Co. tanker ran aground outside the town of Valdez, Alaska, spewing millions of gallons of thick, toxic crude oil into the pristine Prince William Sound. The world watched the aftermath unfold: scores of herring, sea otters and birds soaked in oil, and hundreds of miles of shoreline polluted. Commercial fishermen in the area saw their careers hit bottom. This month marks 30 years since the disaster, at the time the largest oil spill in U.S. history. Only the 2010 Deep Water Horizon disaster in the Gulf of Mexico has eclipsed it. The 986-foot (300-meter) Exxon Valdez tanker was bound for California when it struck Alaska's Bligh Reef at 12:04 a.m. It spilled 11 million gallons (42 million liters) of crude oil, which storms and currents smeared across 1,300 miles (2,092 million kilometers) of shoreline. The oil also extensively fouled spawning habitat in Prince William Sound for herring and pink salmon, two of its most important commercial fish species. Fishermen and others affected by the spill dealt with ruined livelihoods, broken marriages and suicides. Exxon compensation checks, minus what fishermen earned on spill work, arrived too late for many. 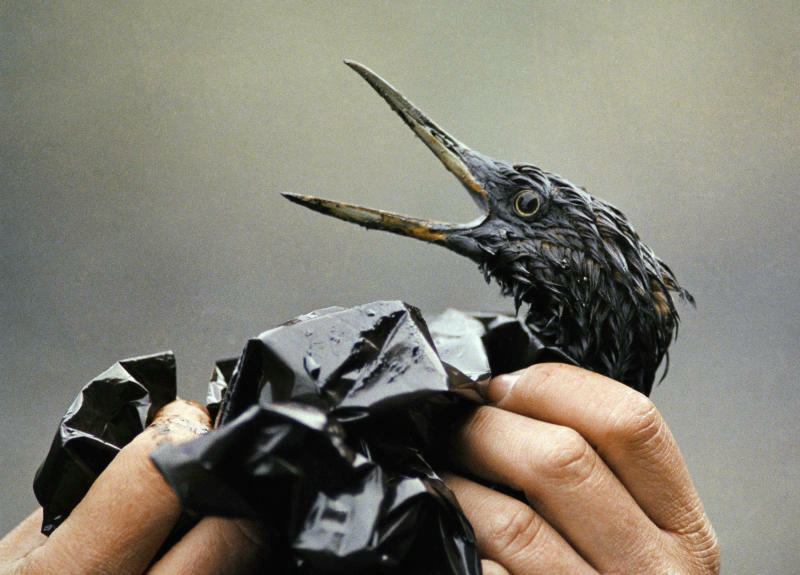 Most of the affected species have recovered, but the spill led to wide-scale changes in the oil industry. Today, North Slope oil must be transported in double-hull tankers, which must be escorted by two tugs. Radar monitors the vessel's position as well as that of icebergs.